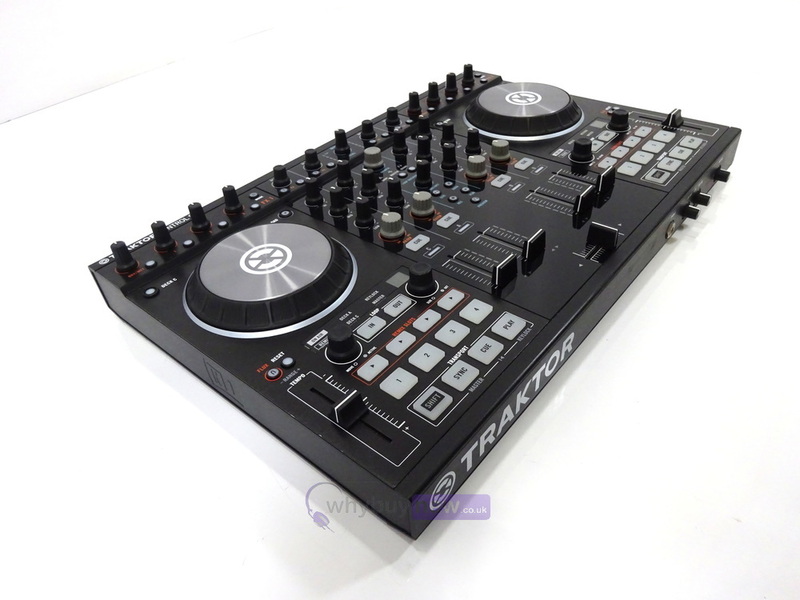 This Native Instruments Traktor Kontrol S4 MK2 has come to us via a part exchange and comes with a 1 year warranty. The item is in good cosmetic condition with a few surface scratches on the mixer section. It comes with the USB lead to power the unit and does not include the separate power supply unit. 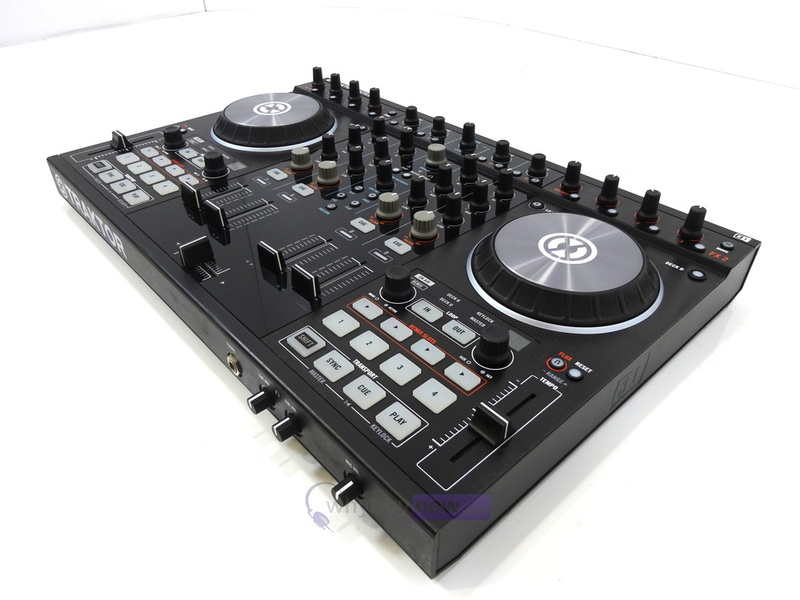 This Native Instruments Traktor Kontrol S4 MK2 does not include original packaging but has been professionally packaged to ensure safe delivery to your door. The unit has been deregistered. 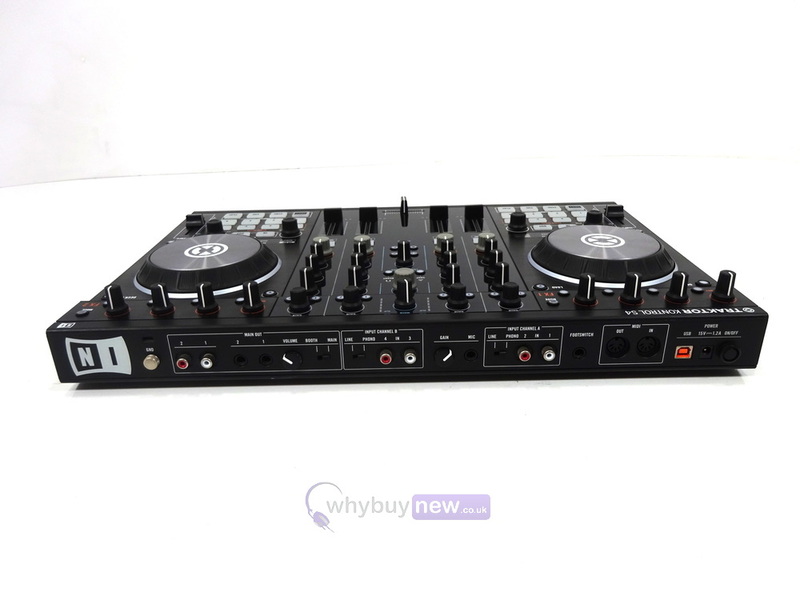 Traktor Kontrol S4 Mk2 is an updated and uprated version of the industry standard four-deck Traktor DJ controller from Native Instruments. S4 Mk2 features enhancements in both the hardware and functionality. 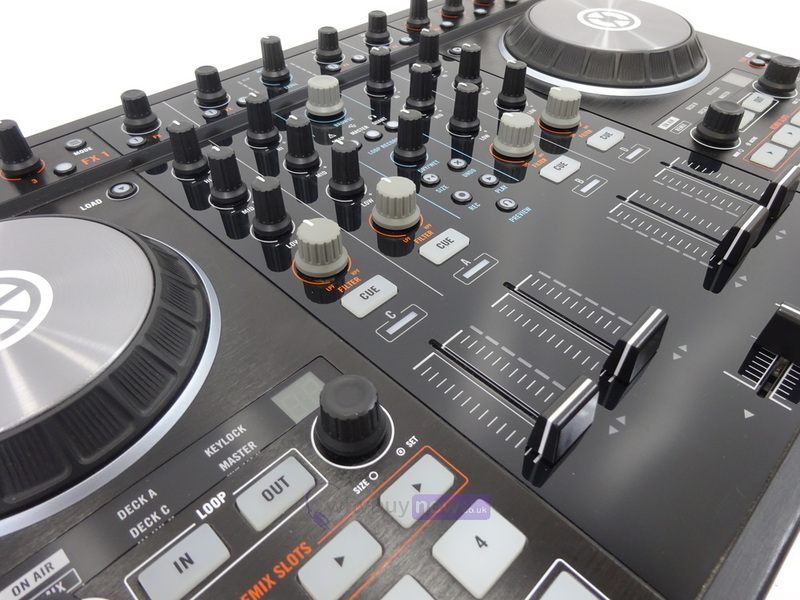 Kontrol S4 Mk2 retains the robust-yet-portable construction from the original S4 and improves on it with aircraft-grade aluminium plates on the platters. Brighter, high-visibility, pads are used for triggering loops, samples and hot cues. Another new addition to the Kontrol S4 Mk2 is the inclusion of plug-and-play iOS compatibility. Traktor DJ app for iPad when combined with the new S4 provides a complete portable DJ system perfect for the mobile performer. 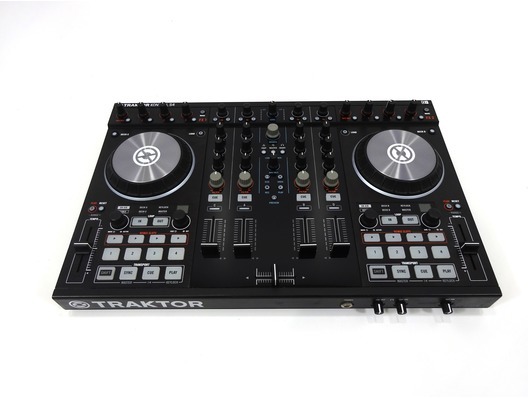 Traktor Kontrol S4 Mk2 is also compatible with PC and Mac and includes Native Instruments flagship Traktor Pro 2 software with remix decks. 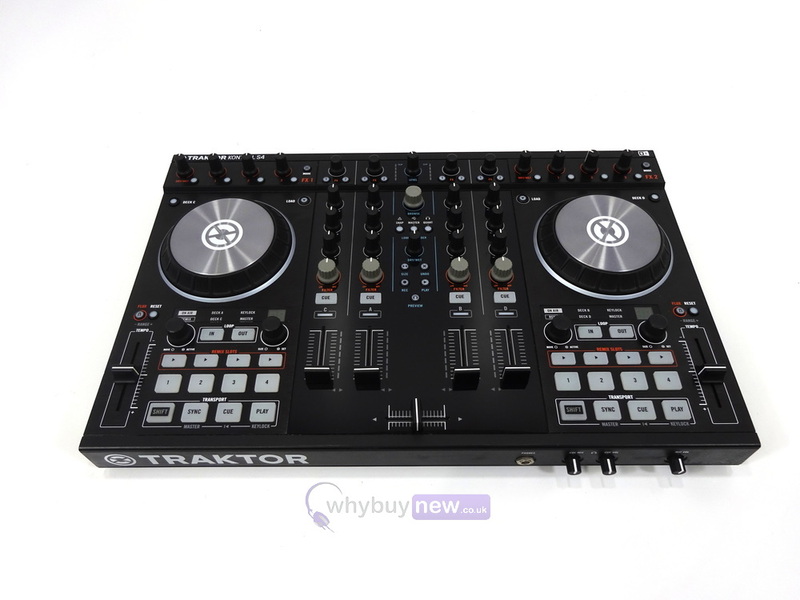 Traktor Kontrol S2 Mk4 has an on-board pro-grade soundcard which negates the need for an external audio interface. This professional quality, built-in 24-bit/96 kHz DJ audio interface has two high-gain stereo outputs: Master and monitor. Other features of the Kontrol S4 include a 3-band EQ, Microphone input with gain control and mute button and front panel headphone controls.